I have no problem accepting the incredible superiority of our past ancestors - but as I re-read this info, I just wonder, over and over, "how can anyone question it at all? even just one bit!" 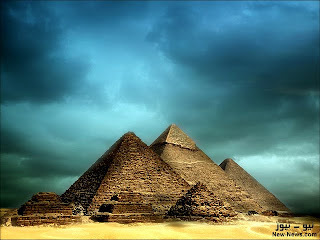 I am so damn impressed and this article has urged me to know more details about pyramids. Their facts and a more detailed study. So, can anyone please send an email or probably a detailed info with pictures , so that I can get a more detailed information on Pyramids : their facts and relevance . 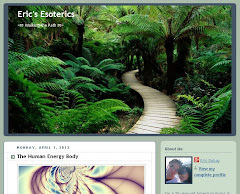 Have a look at my new web blog - first entry please. Masons steal all the symbols that lead back to year 0, and before that. It is because they believe that they are complying with clean after the Templars. The first pyramids were made by the Olmec people, and later Maya Indians. 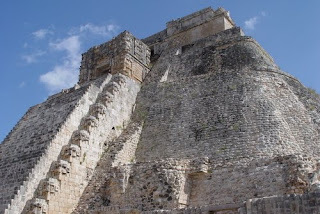 Freemasons have probably a time calendar that Maya people had. But this calendar was independent of the old story in mesoamerica. Arwil Smith 1/17/11 All of this has a single common denominator, and that is the giants, or Annunakis. We can trace this back through the ancient Sumerian clay text; the oldest writings there is. 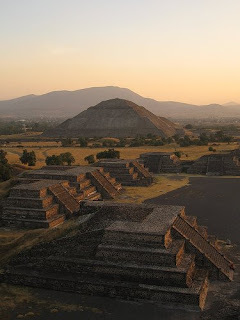 "The base length of the Pyramid of the Sun at Teotihuacán is identical in length to the base of the Great Pyramid at Giza." 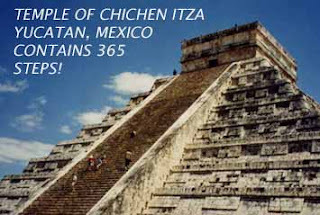 Great Pyramid = 230.4m, Pyramid of the Sun = 223.5m. That's a 4% difference, not "identical" in my opinion. Do your reasearch properly. has anyone noticed the connection between the biblical patriarch enoch,who lived 365 yrs (same as the # of days in a solar year, and the solar #'s in the mathematics of the great pyramid. Not to mention,when you look @ the encampment of the ancient israelites the "lion of JUDA" faces due east,just like the Great Shpinx,and the temple/levites are in the center. 4 tribes match the cherubim/n,s,e,w-lion-e/man-s/eagle-n/bull-w.tha Great Pyramid is set like a compass maping out the four points. After watching this ELECTRIFYING video, I see the interesting correlation that the Pyr-amids (Pyr=Fire=Energy) resting atop the Mother Earth--LOOK LIKE computer compenents on the Mother-Board. I enjoy your writing and website. Isn't there a more believable explanation for this ancient knowledge that this isn't the first time civilization on this planet has evolved to this point and beyond? And, it's man's nature that too much power concentrated in too few hands ultimately leads to the destruction of civilization. Isn't there a more believable explanation for this ancient knowledge that this isn't the first time civilization on this planet has evolved to this point and beyond? Do you think the true history of the pyramids is one of the many secrets kept by Masons and some secret societies Eric, and thats why they feature them so prominantly in film and music etc, or do you think they don't know either?? Thanks Eric once again your articles always enlighten me and encourage discovery of so much of which is covered up in this false paradigm we live in. I have always been fascinated with the ancient wonder that are the pyramids, but they have not only been found on Earth, also on the Moon and Mars, so what's going on huh??? Some researchers suggest there were two highly advanced civilisations; Le(MU)ria in the east and Atlantis in the west, that appeared on Earth more than 24 thousand years ago and were somehow destroyed by an unknown cataclysm dating back 12 thousand yrs. This correlates with the biblical floods and the story of Noah and is also portrayed in the Vedas, the Cuneiforms at Gilgamesh and ancient Mayan writings and artefacts. These two races went on to colonise Earth which explains the startling similarities between all these structures. The story we are told by 'Egyptologists' is that ancient Egyptians somehow possessed advanced knowledge of Pi, Phi and the Fibonacci Sequence and extraordinary capabilities of transportation which is utter bunkum as they were living in mud huts at the time. They were just as perplexed upon this consternation as we were when we encountered it! The only speculation is that there may have been a highly advanced race that lived on Earth and other planets in our solar system, not 'aliens' as such as that i agree is a falsehood they are trying to push a la Zechariah Sitchin and his ET origins of man concept. Rather an ancient angelic race of beings that are spiritually connected to us yet far more advanced both intellectually and technologically. They also had access to time travel as is evident by the discovery of stargates on Earth. But something went horribly wrong for them and their civilisations were brought to ZERO in a day. We just don't know what caused them to fail, we can only speculate, but a lot of this amazing knowledge and power is kept hidden from the public by the Masonic institutions that govern us. Maybe their lust for power and pride was their downfall, as this seems to be a pattern that befalls every empire that's ever existed. And the further back we go the more advanced we are, making our current timespan seem like the stone-age! Oh and Eric the reason why i don't have a blog is that i prefer to remain off grid and just contribute ideas along the way. 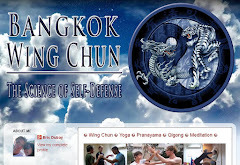 I used to have my own YT channel and webpage for my songs and encountered many awakened souls, also enemies that tried to smear me and my concepts. How and why NASA still has a shred of credibility in people's minds baffles me. "You and I have never seen the Moon or Mars"
Precisely, so how do you know there AREN'T pyramids on the moon & mars? We all have seen that the masons-illuminaughti like to fool us flaunting the truth BLATANTLY in front, but overshadowing the truth with their LIE--which keeps us from knowing the true POWER of that truth. The power is there. Shoot, if I was evil-selfish-greedy minded, I can probably rule the world too. People can be quite gullible and malleable, I found, but I choose not to manipulate them. So if I was such an evil-hearted person, and if I found some great power that would certainly benefit ME, and IF this power was available to anyone who knows about it because I can't conceal it PHYSICALLY, then I imagine I would conceal it MENTALLY--that is by telling others if they they see this power, its BAD, its EVIL, its FORBIDDEN--DON'T TOUCH IT (because it belongs to me, you see). Because this world would be all about ME :) Luckily, I only peruse these idears, and not carry them out. So what I'm trying to say is, there are powers of the universe that the dark forces know about and can't hide physically because anyone can see it or have seen it (and not understand it), so they work their lies into the framework throughout the ages so the generic commoners can't access the universal powers. And for example, if there were humans/humanoids living in other planets & galaxies that have amazing powers, and have shown their presence on Earth time immemorium, the dark forces cover that up MENTALLY thru their Project Blue-Beam to show these BAD BAD "aliens" coming down, (throw in a few Hollywood predator alien HORROR sci-fi movies for more brainwashing) and the commoners need to be saved, and the dark forces will provide a solution...blah blah blah. THAT is the ad nauseum! hmmm. what would it be like for a girl to rule the world ;) lol! How do I know there aren't volcanos that spew bubble gum on the moon and mars? How do I know there aren't upside-down trees, or an infinite other number of things on the moon and mars? Your counter-argument is a logical fallacy, but I understand the point about keeping an open mind. 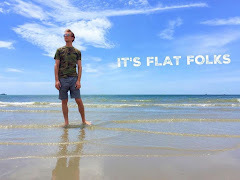 The only thing we know about the moon and mars is that they are circles in the sky; everything beyond that comes from NASA (the biggest masonic propaganda machine and least credible organization in history). They filmed in Arizona and called it the moon, they filmed in Australia and called it mars, then they show us some photoshop aerials and claim we're looking at authentic pictures of off-world (therefore "alien") pyramids. As I keep saying, they are using "Hitler's big lie" technique and building this "insatiable mystery" as Weishaupt called it, so that people cling to thinking there must be some truth to it. Aliens must exist! Or FOX's X-Files motto, "I WANT TO BELIEVE!" Hi Eric thanks for your dialogue. Yes i am aware of how NASA is a Masonic institution and how it has photo shopped a lot of photographic material it has released to the public in declassified files; only for researchers to use new technology to uncover what may or may not be there! THEY BURY IT IN PLAIN SIGHT! As for the moon landings, i am aware that there has been much false material released to the West to suggest that we got there before the Russians did as at that time there was this 'race to the moon' panic propaganda campaign. But did they not eventually go there and find these structures and ever since have tried to conceal them. Who knows???? Even you must agree and i'm sure you do. 'Under a world govt. a NEW WORLD ORDER!'. Is how he meant to finish it, and the donuts that came after him just added the last bit. as HW Bush snr did in 1991. So yes its plausible they are trying to convince us of 'aliens' coming to attack us and the NWO is the only way we can all be united under one banner to counter them! 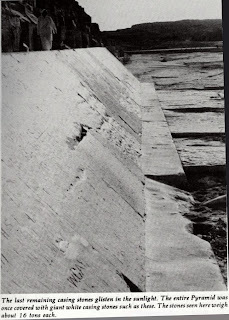 But i am inclined to think they are here already as there is much first hand evidence from Phil Schneider who actually worked at constructing these underground tunnels in Dulce Base around New Mexico and Nevada. He even went out on many tours giving testimony to actually encountering them in a fire fight. Yrs later he mysteriously gets cancer and dies. Co incidence, maybe, may be not! Also independent broadcaster and author ex Navy Special Ops William Cooper tells of first hand encounters with UFOs in his Behold A Pale Horse book, although he denies any knowledge of 'aliens' and believes rather the govt are using advanced tech against us. He was later gunned down by the CIA in a stand off refusing to respond to trumped up charges. You see, we can only give our own dissertation on what they present to us and not become too polarized. May be what you say is true and there is like i said a good argument for it. But what if you're not? WE MUST NOT THROW THE BABY OUT WITH THE BATH WATER! So to speak. There are truths and lies in EVERYTHING that's presented and only wisdom can separate them, but wisdom cannot be earned by scoring points with an audience or forum. It has to be acquired through time and patience, trial and error and ultimately humility and grace and surrendering to the big picture, and that's where i try and take the torch of knowledge. May be everything i know is false? I'm inclined to think NOT, but if i am wrong about some things i would rather discover them for myself, rather than have it thrust upon me, and in no way am i saying you are because i have taken your points on board and will research this further because knowledge is power! instigate something to make one box fight the other boxes! those advanced beings could devise some way to visit the moon? There's fallacy in your logic; or rather there's logic in your fallacy. divider only to close off another. Third, artists have such wild imagination...or does art imitate life? alien, or ET--they STILL could look human--or variations of. UPDATE on the Starchild Skull--first thought the Starchild mitochondrial DNA was from a human mother, but the latest update this year is its MITOCHONDRIAL DNA is not known to be comparable to any human species of this world. Dr. Bryan Sykes explains that Europeans of today are descended from the seven mitochondrial haplogroups--of the Seven Daughters who share a common maternal ancestor--Eve. There are 29 additional "mothers" worldwide, and 9 for the Japanese. How about "modern man can't build those pyramids, therefore ancient civilizations in many ways were more advanced than us. I believe those who built all those pyramids were not the human species as we are. They were the generation of humans before us. It's true that we haven't reached (or haven't been passed to) the technological development the ancient the builders of those pyramids had reached then. But it is not and have never been about the technology. 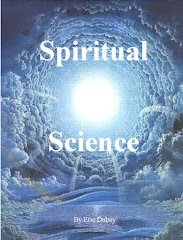 It is about the spirituality a being can achieve. In that sense we are much better than those generations of humans who lived before us. And it is not because of the evolution, but the Creator. Both of us and them have been given a choice to live one way OR the other. We already know that most of the previous generation of men have failed the test by seeking lust, power etc. From what happened in our history full of wars and genocies which continue to this day and getting worse day by day, one can easily conclude that we are also taking the same route which the ones before us took and failed. But the test is not one for the whole generation of people, rather there is a test for every individual born. That means every one of us is accountable for the things we choose to do or not to do. Stop being a slave to anyone and live your live as just as possible no matter what happens to you. You are the only one who determines what your after life will be. As you have been given a Choice which even angels are not given. Stay true to yourself! Peace. Ive just written a book ad Im trying to get it published about this very subject, The Pyramids of Giza are amazing structures. Might I just say that in reference to the obilesk problem they did not use copper chissles, they would use hard roacks carved into cirlces. The Egyptians would then find a natural fracture in the rock and start a fire over it. This in turn would further crack the rock and after about a half hour they could be up to two feet down into the rock. Well, reading Miles Mathis leads me to recant. Instead of a magnetic cloud, we have an LT (light terminus) starbit which is matter compressed to its ultimate. This antimatter G1.9 enters Sol’s heliosphere through the ORT shell and is repulsed. It ‘orbits’ out to Proxima Centauri then returns. A 5,000 y round trip. Miles says that anti matter and matter cancel each other’s spin, leaving a ‘nut’ of non spinning mass. 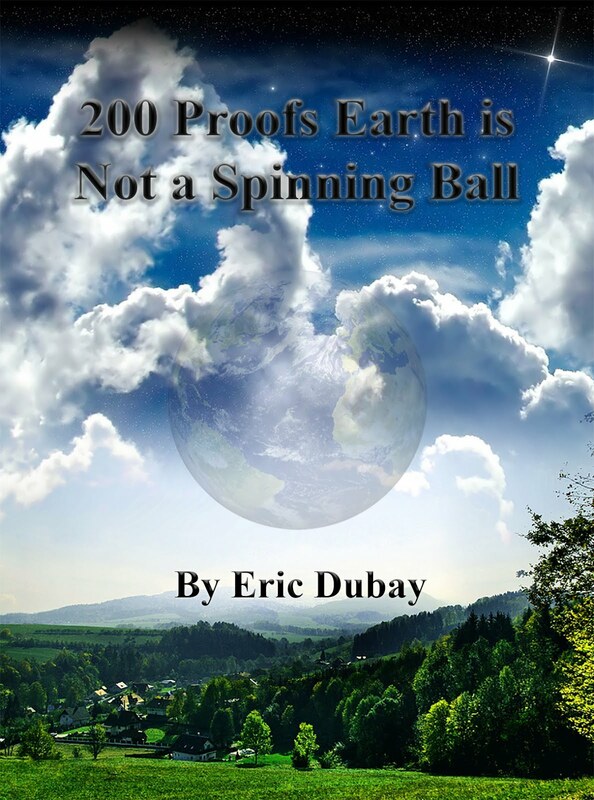 He proposes that explains the Moon and Venus. And I propose that this LT starbit has continued to degrade from its inception at 10 my ago, Fluff’s birth. This LT starbit that had been used to maintain an ‘anti=matter’ environment (read expanded Earth) which suddenly collapsed due to the degrading of the LT. The collapse of the expanded environment (read anti-matter) led to the smarter us having to lead Earth bound matter lives. You see this in the Egyptian labyrinth and other artifact from approx 10,000 y ago. The planet had been left without charge (anti-matter and matter canceled each other’s spin) so Gobleki Tepe and Stonehenge could be seen as efforts to ‘recharge’ the Earth I call them lightening nails. Of course, the seas were sterile. Only air breathers left in the top 1 and 1/2 mile above the “no ox” zone. As to how the collapse happened, I do no know. If the LT was continuing to degrade, perhaps it split off a nugget and this nugget plunged into the E at the Cayman Trench and out at the Tibetan plateau. Something massive had to pull the E mass up that far and it may have been antimatter. Further degrading of the LT would be the ‘gas cloud’ that suddenly appeared in the period of 1984 to 2005 in the direction of G1.9. This would be the zero K gas in the LT nucleus. Without pressure to hold it in, it would burp out. This would lead to rearrangement of the LT as a neutron which it now is and is shedding neutrinos heavily. See the band of antineutrinos around the E. We are told they are from the sun. Well. Excellent read brother. The information you cover is top notch. We must look to the past with a open mind, to better understand where we came from. We are a species with amnesia, we were brought up learning lies and deceit. What you are doing is reversing the fake consensus and for that I thank you. Keep up your righteous efforts and be well. Hey, wonderful article Eric. Very informative and obviously done by someone who thinks way outside the box. I just wish I had stumbled upon it sooner. Speaking of pyramids....has anyone here heard about the incredible pyramids in Bosnia? They have been uncovering an entire complex for several years now. That said, I just wanted too add my own hypothesis. Reading the Biblical scriptures of Genesis where the recorded life spans were in the hundreds of years has led me to an obvious conclusion. for example: If my math is correct, Noah's generation lived ten times longer. Meaning a ten year old child would be the equivalent of a one hundred year old man today. So imagine if we had five, six, seven and eight hundred years to live, learn, garner knowledge, experience etc. How advanced would we be as a civilization? Think about it, think long and hard because I firmly believe the pre-flood peoples were far more advanced than we are today. The pyramids were built from the ground up and the Egyptians found the tip sticking out of the sand and decided to digg it all up. Dude thats a lot of sand that's built up. Do you think all that sand was naturally put there over time? And do you think the desert has always been a desert? Was there no chance it being all green land even since the planters beggining? Any Egyptologist that thinks the Pyramids were built by Khufu 5-6,000 years ago has the wool pulled over their eyes. I am continually amazed by the quantity of "forbidden treasures" left for us to muse. Truly fascinating...all. Incredible skill and technology that confound the wise. More curious to me is that those with laser precision engineering, multiple decimal accuracy of of things astronomical as well as a myriad of evidence other highly intellectual prowess... how is it that we must read of the from clay tablets or carved stone? Find the answer to that...there lies the answer to the mystery. all of the crap that i look up go's to one point. "awsomeness"
I like the boom :) but that doesn't negate the "using current technology, multiple cranes and work crews, we still couldn’t make that kind of time, nor could we match the craftsmanship" part. First I commend this article on the research, the logic and suggested explanation of an advanced human civilization. I believe the time period also to been around 12,000 to 13,000 years for the Great Pyramid. The only thing probably different, I speculate that it was never constructed there, instead moved there. It was initially constructed on Atlantis, and needed to ne moved or it would be destroyed. 'They' knew about the sun (and all stars) loosing their outer shells every 12-13K years and the earth's pole reversal happens at the same time. The pyramid was crucial to all their culture, for many reasons, i.e. electricity, communications, medical,teleporting, etc. This Great Pyramid in Giza just one of two; others off coast of Florida/Bermuda and southeast of Japan, providing same services for their colonies. 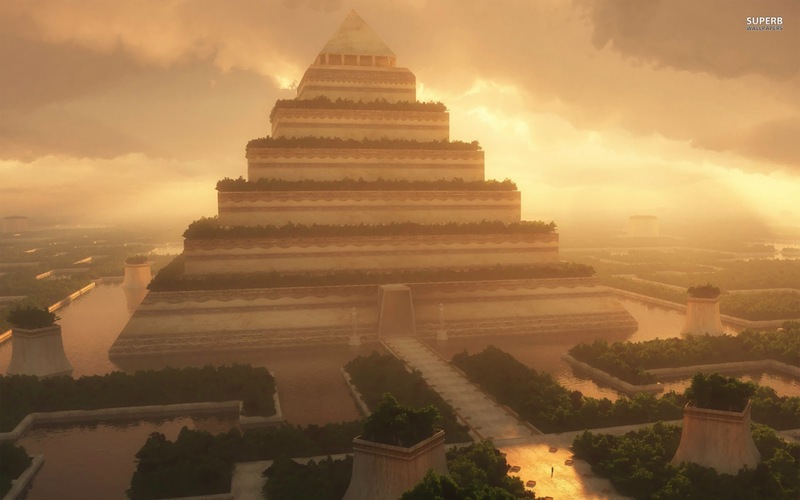 I believe that pyramid was constructed on Atlantis and each rock poured, as believed today and before the island sunk, they teleported stone by stone and re-erected it at Giza. I think there are some other points to add to these facts. Some megalithic structures are underwater now. They are at sea levels that would only have been above water during the last ice age. Secondly, Most pyramids don't stray far from the equator. Also, implying that the world may have been in a mini ice age when they were built and people were drawn to climates that were hospitable. Nobody knows our origins, but the history books are missing entire volumes about the source of the megalithic sites including pyramids. They were not built by primitive people. They were not built using brute force. They are not only 6000 years old. We are talking intelligent people on this planet 10000 years ago that had higher intelligence than people that are in our history books a couple thousand years ago. Mankind appears to have survived some cataclysm on Earth in very primitive survival conditions for multiple generations to lose this much knowledge. Thing that gets me repeatedly asking time after time is "What light source did they use?". Every documentary shows various people inside these structures that are illuminated with pre installed lighting or powerful torches and camera lights. What did the ancients use? Any form lighting involving a flame would have created Co2 and vasts amount of soot. In other words our workers would have been gassed in such confined spaces and their work would have been covered in carbon. Some places I've seen are so poorly ventilated that just the people in the area would use up the available air. This is one mystery that has never been adequately explained and often overlooked. We are certainly missing a big chunk of ancient knowledge. The Great Pyramid of Giza (also known as the Pyramid of Khufu or the Pyramid of Cheops) is the oldest and largest of the three pyramids in the Giza Necropolis bordering what is now El Giza, Egypt. It is estimated that it took 20 years to build based on Greek records and modern calculations. Keeping that in mind let us consider this. The great pyramid is estimated to have about 2,300,000 stone blocks weighing from 2-30 Tons each with some weighing as much as 70 tons. Simple math would bring us to this result. 2,300,000/20yrs = 115,000 blocks a year. 115,000/ 365.242 days in a year = 314.8597 Blocks a day. 60 min's in a hour divided by 13.1192 blocks... = 4.57 blocks a min....quarried ,transported , cut fit and installed...every min of the day for 20 years. The calculation above is based on non stop work 24 hours a day. 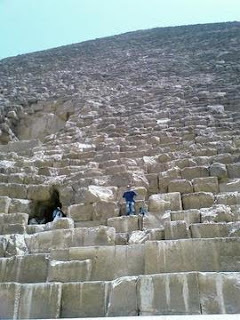 It is said that the stones making up the pyramid’s came from quarry’s about 500 miles from the pyramids location. Some say the quarry was much closer regardless the calculation remains the same. Remember each stone was carved to fit each other not even a piece of paper could slip between them... The precision of the stone masons was phenomenal. This is just one fact about the pyramid and not even a major one...yet we are to believe that people of that time could transport chisel and carve 13 stone blocks a hour weighing 2-30 tons each, (some much heavier). Made with no modern equipment except copper or bronze tools. Even if we said it took 40 years it would still be 2 blocks a min. But as records state it was about 20 years. Our modern day scientist and archeologist knowing this and doing the simple math I did how can they say the Egyptians did not have help. If the Egyptians did this alone in this time frame then they were far more advanced than we think and believe. And remember this is only one pyramid. This also is not including the fantastic alignment to true north and the precision of its dimensions. Plus the fact no Pharaoh was ever buried in the pyramids and it still has secret chambers that will never be opened. Just like the Mayans the knowledge of building these monuments has been lost forever along with those who built them. Along with hundreds of other great structures that cannot be explained and the secret to how they were built is also lost. Coincidence, I think not. Something happened on this planet and we are too scared or conceited to believe that another power once walked this earth, much more advanced than us or not from here. All these great structures were built about the same time and very similar construction. By people who never met thousands of miles apart yet they were very much alike. I think it's obvious that the pyramids were power stations more so than " turning man into God's" which could mean any number of things and they are certainly not tombs. I'm also assuming they are about 10k years old and Noah's flood of biblical, Atlantian and ancient Samarian legend may have been a sudden melting of the ice age and the catastrophic end to an advanced age of technology, but a different technology to that of today. 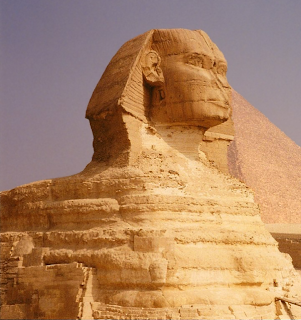 giza was preserved and washed under a layer of deposited sand until 4000BC. I'm also assuming that the power source was hho ( water turned to hydrogen ) due to the aquifers underneath and the salt on the walls of the chambers on first discovery. But what did it drive? I assume some sort of transmissable resonant vibration waveform that was used to carve and move heavy stone, like bolting an orbital Sanders to a brick and pushing wedges from both ends until it lifts with the vibration. Is there any such knowledge of such technology today? Is the grand chamber a giant flute? Do you believe in human ETs in this dimension? I think you all should go through this link once. The devil of old, is it still able to connect and use pyramids from around the World? If there is a pyramid power some say is there, they harness this energy in order to remain cloaked? Ancient master parasites who need humans to survive, but by removing the pyramids would X them out. There is a French geologist and stone expert who believes he has proven that the outer casing stones are made from poured limestone slurry. It explains the accuracy since the same mold was used for each one and they were poured in place. Which also explains why they are bonded to the stones beneath them. First off, I would like to say that I have always been interested in the Pyramids, in particular the ones of Egypt. I have also, as long as I can remember, believed that there is some other form of life beyond our measly little planet. No matter what one theory says, as mentioned earlier, there are way too many other planets out there for there to only exist life here. Now whether or not life originated on this planet, or whether a more advanced civilization was exploring and decided to set up camp is a totally different topic all together. But too many people also put science against religion, and that is a huge mistake! When you take religion out of something, then nothing makes since. But when yuo take science out of something, then nothing makes since either. Religion (or the belief of something greater than us) and science have to be paired together in order for things to make since. We need to stop pitting the two against each other and then this race (our current existence) might find the answers to long asked questions. And for anyone that is closed minded enough to think that Aliens (or other life forms from other places other than our Earth) don't exist, not only are you leading yourself down the wrong path and pushing yourself into a deep well of denial, but you would also be arrogant in thinking that we are more important than we actually are in the whole scheme of the universe. Great article But I would like to read more about a Atlantis/pyramid related topic. In the Bible it speaks of a great civilization that was technologically, culturally, and by all means a great culture,Where there also existed giants of superhuman strength, but they disobeyed God and were destroyed by the great flood. Evidence of the flood has been stated in many records from various ancient cultures around the world, there has also been proof found in places like the Grand Canyon (to prove that the flood happened). So, as to why these civilizations are not here today, that is already been answered, but who they are, where they are originally from, etc...those are the questions that we need to seek the knowledge of. maybe the reason we do not find evidence of light sourse is that it was built by giants- they did not go in dark tunnels, every piece was preassembled and fitted from outside. 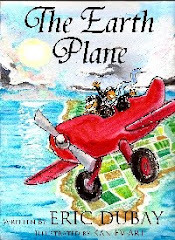 You never mentioned John Anthony West, the original founder of Sphinx' erosion, who studied de Lubitz claim about it. Mr.West said that dr.Schoch's timing is conservative and he gave the number close to 36 000 ya. Don't bother to correct my English, it is not my native language. The thing is, the word "Egypt" is Greek. So is Pharaoh, pyramid, Cheops, Cairo, Cleopatra - all Greek. Egyptology is fake. From 1059 BCE this is what you get - Egypt is raided and conquered over and over. SO what was Egypt called before the Greeks named it? The answer is KMT - in heiroglyphs, it means "Black"
SO! let's look at what was a pyramid - In Kermit it is called Per Neter from which the word "nature" comes - The Greek word "pyr" means fire - and "Amid" means "in the middle" So pyramid means "fire in the middle" Obviously some 12,000 to 50,000 years ago it was an energy plant and tis is what we all have to come to grips with - I've been in the Great Pyramid - there is absolutely no way we could build it today - simply not possible. Not physically possible nor do we have the knowledge to deliver all the numbers that constitute it. 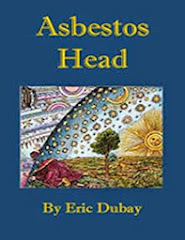 Edgar Cayce explains all about the Atlantian Race (Red Race) alliances, the good ones went to Egypt and the evil faction went to South America. I submit also, that the current findings that show we live in an 'electric universe" is not only correct but aligns perfectly with the underlying purpose, design and power of the pyramids world wide. The Great Pyramid was constructed over underground limestone water chasms that seasonally emptied and filled from the river Nile - interestingly, satellite photos show that the Nile did once pass next to the pyramids but is today a long way off thanks to ages of seasonal floods that causes all such rivers to meander. 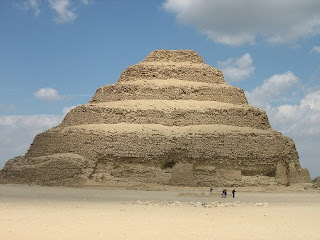 Considering this, the Great Pyramid of Kufu (or Cheops if you prefer the Greek), would have to date back at least 12,000 year if not much longer - is a building that delivered enormous power - we just to need know what that power was used for. As for who built it - it was certainly inherrited by the sop called Egyptians but was built by "others". My guess is if these architectural designs had originated in Europe, no one would be attributing them to extraterrestrial aliens or to some long lost European civilization under the Atlantic. Western Europe has to come to grips with the fact that the Europe is not the center of the universe. Copernican heliocentrism put that idea out of its misery a long time ago. We don't need wizardry or alien life forms to explain simple stone structures. Now when you demonstrate that ancient mesoamerican civilizations had an understanding of M-theory, let me know. Otherwise cutting, carving, and stacking large rocks is basic technology consistent with human intellectual development of the time. This should give you quite a bit to discuss for awhile. 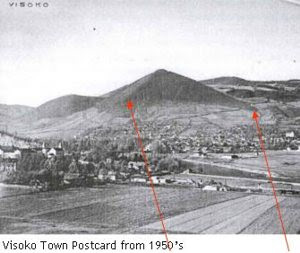 I hate to be the party pooper but did the aliens talk to the ants too (who also built pyramid styled hills)? It's the easiest and simplest way to build a sturdy structure, end of story. Aliens had nothing to do with any of this. We should be searching for our lost history, not ET. The last link I posted is all about pyramids and what they were for. Very interesting. I am looking forward to reading all of your articles. As you might know some African Americans trace back their heritage to Egypt aka Kemit. There is whole theory about the Black Race being superior beings because of the Melanin and the majesty of their ancestors, the Egyptian Gods and Goddesses. I personally love all my earthly brothers and sisters. It is sad that there are too many theories and false prophets out there who turn people against each other, taking advantage of this ancient civilizations! I think that it makes much more sense to realize that people were much more advanced in the Yugas prior to Kali Yuga. Perhaps they were linked to distribute free power and or communicate around the world?! There is no doubt in my mind too that the pyramids are around 12500 years old, either from just prior to the great floods or a little while after that. Perhaps as you say that calamity destroyed their civilisation and they spread over various parts of the world. I also connet this civilisation to the knowledge about Creation of Universe, about atoms and sub-atomic particles, about velocity of light and many more understood or little understood knowledge contained in the books of knowledge in India like the Srimad Bhagawatam, Vedas and many more such books. Some of the astronomical occurrences in many ancient epics and books give a time nine to ten thousand years old. I also have the thinking that human civilisation rise to a pinnacle every 26000 years and decline in between. Bu the Indian Yuga calculations too, that time comes to 12500 yers back. all this fit together. Also human brain had attained the present level of development at least 100000 years back, So it is absolutely inconceivable that no great civilisations arose before now despite the lapse of such a long long period. History of Human civilisation must be rewritten. After the destructive end to the last ice age we lost most of our information. But next time round we'll have things recorded on every conceivable devise and there'll be no doubt about who we were - since the end of the last ice age we have been captured by those who would enslave us by hiding and destroying all they could of the surviving information that would lead us to discover our true power and heritage. They murdered entire races of peoples, they invented religion and formed nations, flags, government..... "govern" means control and Mente (Latin) means mind..... Then they destroyed our 13 Moon Calendar set to the 28 day cycle of the moon which is precise to 2000th of a second amnd replaced it with todays calendar we know as The Julian Gregorian Calendar - after Julius Caesar and Pope Gregory which is out 12 hours a year and none seems to notice that September means 7 - October means 8 - November means 9 and December means 10 - - - when they added July and August (named after Julius Caesar and Caesar Augustus) we are told we are born in sin and must bow down to these criminals. If you wish to know who you are you need to know who is pulling your strings first. I believe extra-terrestrials were involved. Find articles on the alignment of pyramids around the world. Pyramids could have been navigation aids to them.